KUWAIT: Kuwait Football Association has “welcomed” co-hosting some matches of the 2022 World Cup, due to be hosted by Qatar. The association’s deputy chairman Ahmad Al-Enezi said in a statement yesterday that the association will respond positively if the Federation Internationale de Football Association (FIFA) or the Qatar Football Association officially make such a request. However, Enezi affirmed that the co-hosting of some of the matches by GCC countries other than Qatar has remained a proposal by FIFA till now. This will turn into a strong possibility if number of the participating teams rises to 48 instead of 32, he indicated. 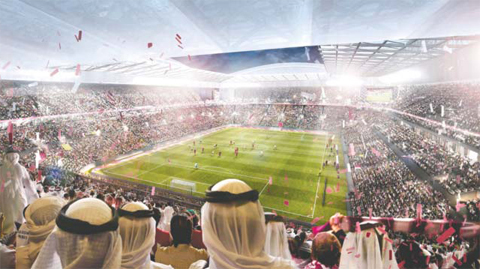 The Kuwaiti association will support its Qatari counterpart to ensure success of the World Cup, he pledged, noting that Gulf and Arab states should help Qatar in accomplishing this task. Chairman of the Kuwaiti Football Association Sheikh Ahmad Al-Yousef Al-Sabah will meet FIFA Chairman Gianni Infantino to discuss this matter. The meeting will take place on sidelines of the inaugural match of the Asia Cup due to be hosted by the UAE from Jan 5 to Feb 1. 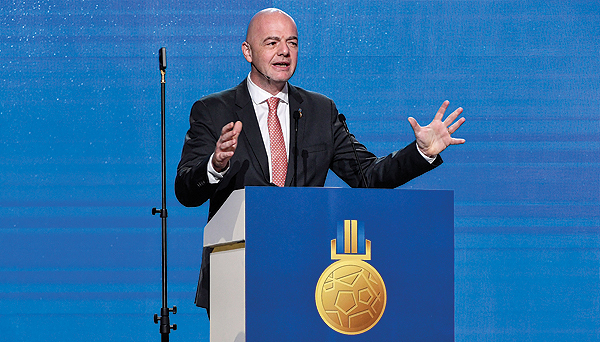 Last month, Infantino said a majority of national football federations were in favor of expanding the tournament and a decision was expected ahead of the qualifying draw in March. Infantino, speaking at a sports conference on Wednesday, also said FIFA was seeing whether it would be possible for some of Qatar’s Gulf neighbors to host some of the matches. He said last month that it would be “difficult” to stage an expanded tournament in Qatar alone. Saudi Arabia, the United Arab Emirates, Bahrain and Egypt launched a diplomatic and trade boycott of Qatar in June 2017 that has complicated the prospect of sharing the tournament. The countries accuse Qatar of supporting terrorism, which it denies. FIFA voted in 2017 to increase the size of the tournament from 32 to 48 teams starting from 2026 but, since then, Infantino has been mulling the possibility of bringing the change forward to 2022.